Understanding your emissions is the first step in taking effective and efficient actions to reduce them ultimately reducing the impacts they have on human health and the environment. Ricardo is one of Europe’s leading and largest specialist emission inventory compilation team. In the UK, we lead the National Atmospheric Emissions Inventory and the Greenhouse Gas Inventory Programmes for UK Government and we are the designated National Inventory Agency. This means that we share responsibility for UK reporting on atmospheric emissions under international treaties including the United Nations Framework Convention on Climate Change (UNFCCC), the United Nations Environment Programme Gothenburg protocol, and European directives. Alongside this, we provide the UK’s system for reporting to the European Pollutant Release and Transfer Register (PRTR). We also led the recent updates to the European Environment Agency’s Pollution Inventory guidebook which was published in 2016. 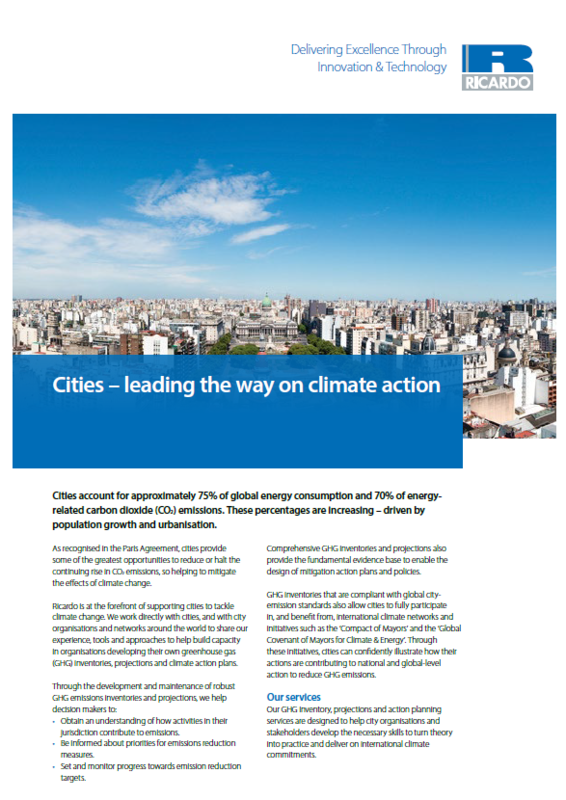 The air pollution, greenhouse gas and persistent organic pollutant (POP) inventories that we prepare for the UK are recognised as world leading: we were credited with a share of the Nobel Peace Prize awarded to the Intergovernmental Panel on Climate Change in 2007. We have gone on to provide our inventory expertise at a Europe-wide level as well as in other countries and regions around the world including south-east Asia and the Middle East. As well as national level inventories, we are leading experts in the development of more localised inventories particularly for large cities and have played a leading role in the development of methodologies and enhancing the capacities of authorities with inventory development. Ricardo’s inventories team includes several fully qualified UNFCCC expert reviewers. We play a full part in annual reviews of inventories in support of the UNFCCC and other international programmes. For example, we are part of the team evaluating the quality of European Member States’ emission inventories. We can provide you with a comprehensive understanding of your emissions, identifying and quantifying the key sources, and offering expert interpretation and advice. Emission inventories are often linked with air quality modelling studies to enable the sources of airborne pollutants to be understood and evaluated. 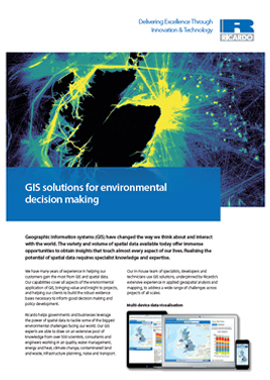 We use innovative Geographical Information Systems (GIS) techniques to develop spatially disaggregated emissions estimates at 1km resolution for the entire United Kingdom as well as a range of other countries. We have also developed an interactive and intuitive web-based map enabling users to view emissions in any location within the UK at a range of resolutions.